To provide a hands-on science, technology, engineering and mathematics (STEM) learning experience to every Indiana elementary school by utilizing an economical, entry level robotics platform, for students both in and out of the classroom. Thank you Guggenheim Life and Annuity!!! Thanks to Guggenheim Life and Annuity the State Robotics Initiative program is fully funded for the 2016-2017 school year. 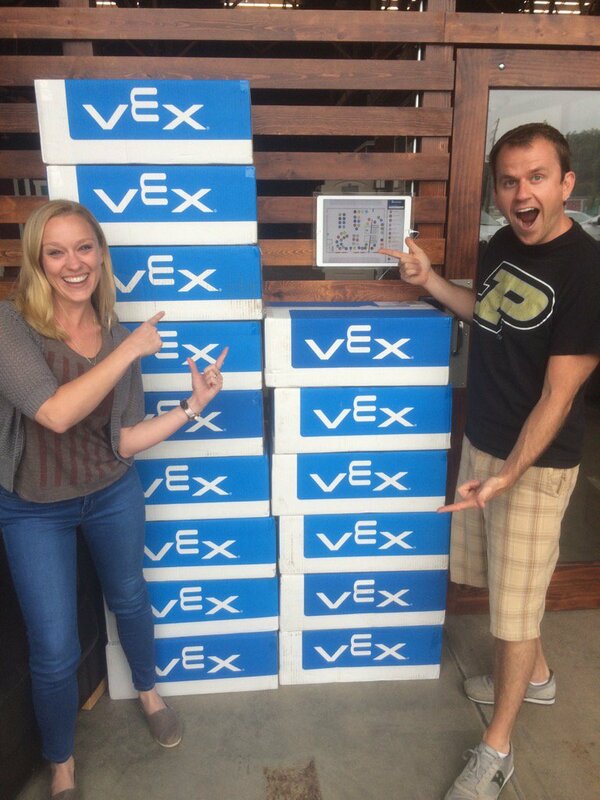 This generous donation will provide up to 400 schools with a VEX IQ Super-Kit, VEX IQ Competition Add-On Kit, and pay for their registration to start a VEX IQ Robotics team. TechPoint Foundation for Youth, as well as Indiana teachers and students are so grateful for Guggenheim Life and Annuity's investment into STEM education. This year's VEX IQ Challenge has been released; introducing Crossover! Crossover is played on a 4’x8’ rectangular field. The object of the game is to attain the highest score in a 60 second challenge by scoring "Hexballs" in their colored scoring Zone and Goals, and by parking and balancing robots on the bridge. There are a total of twenty-eight (28) Hexballs available as scoring objects in the game. There are (2) Scoring Zones, (16) Low Goals, (12) Elevated Goals, and (1) Bridge on the field. For additional information on this year's game please visit the REC Foundation Website. We had the pleasure of meeting our newest Robotics Educators! As George stated during the robotics training, the awardees are some of the very best Indiana elementary teachers and TechPoint Foundation for Youth is proud to have them represent the State Robotics Initiative. The Robot Team is here to help! "The Robot Training stimulated my learning"
"The instructor was well prepared and helpful"
"I walked out of the Robot Training feeling excited about my new role as a Robotics Educator"
98% either agreed or strongly agreed. "The emphasis was put on the experience for the students, not the trophy. It's not always about winning." "Having a genuine instructor who is passionate about not just the topic, but also the learning and success of students made the day." "I was very hesitant and scared to start this, but it is the right thing for our school, and I want to make a difference in the lives of our students- and this training was positive, helpful, well put together, and made me very excited to begin! The best part? The presenter was amazing, and - walking away with all of the materials I need to get started!" "George made us feel like we can do this!" Additional training sessions will be made available for the remaining teachers. 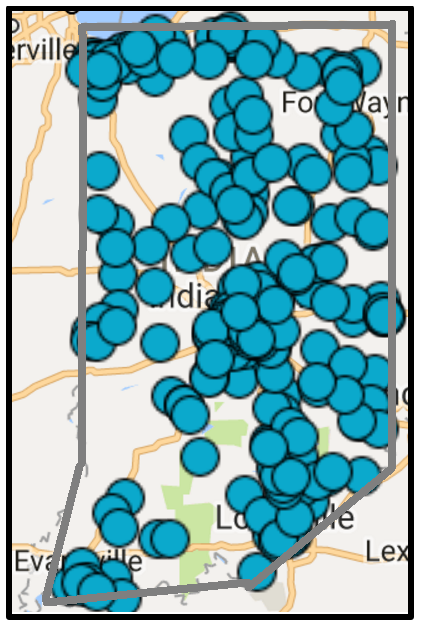 An overall snapshot of our impact so far with regards to awarded Indiana Elementary Schools and School Districts. We would like to thank everyone so far for the wonderful support and efforts in kick-starting this program. We are eagerly waiting to hear from the Robotics Educators to see how robotics education is impacting their students! Help spread the word! If you are reading this, we would appreciate your help! Please contact your local elementary school and urge them to apply for the State Robotics Grant. You are receiving this email because you love everything Robot related! If you no longer love robots and would like to be removed from this email list please unsubscribe below.